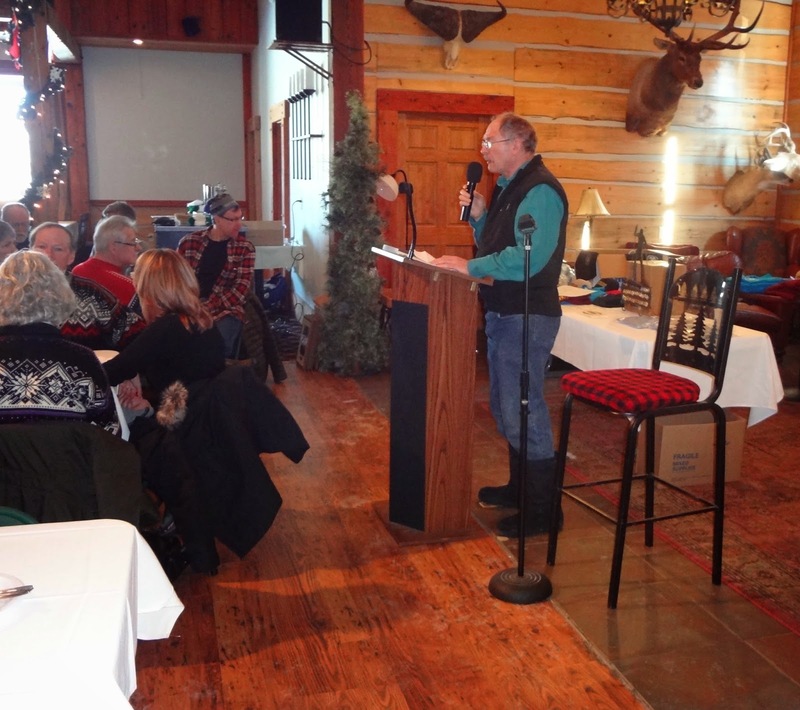 John Kotar with Nina Kotar accepts the 2015 Tony Wise Birkie Spirit Award at the Birchleggings Club Breakfast and Awards Ceremony on February 22, 2015 in Hayward, Wisconsin! Steve Carmazon, Birchleggings Club Board Members said these words in introducing John. Other than our parents, there are two people responsible for us being here today. We're going to look at their legacies. The First is Tony Wise. Tony was known for, and successful because of at least 4 major traits. 1. He was extremely gregarious, he loved people, and wanted them to succeed and prosper in life, and he wanted to provide winter jobs, in a time that was primarily a summer resort recreation economy. Being a ski resort owner, he loved to see people living a healthy lifestyle. 2. He possessed great leadership skills, on what should/could be next, and was extremely creative. 3. He had a great pioneering Spirit, he wanted to be first at what he did, he wasn't afraid to try new things, and even lose money, hoping to make it up elsewhere. 4. In everything he did, he wanted to do it first class, or not at all. His Legacy changed the Landscape in Nordic skiing, both in America, and the World, with the American Birkebeiner, the Birkie Trail, and the Worldloppet, All His Creations! John Kotar, our recipient today, is also a creation of Tony's. 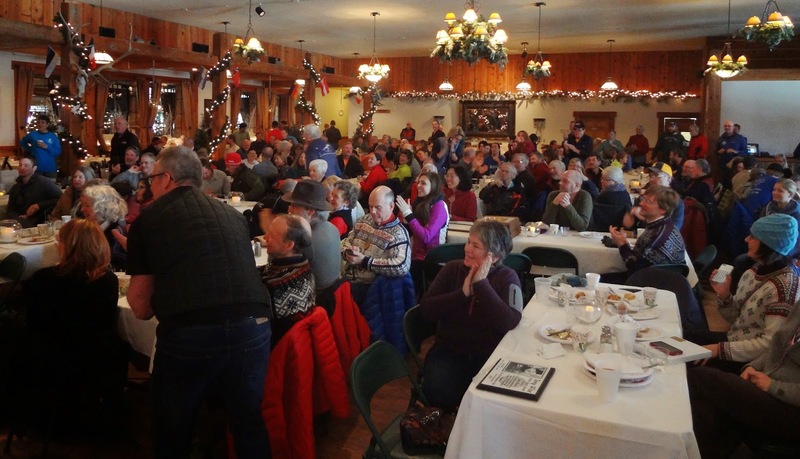 Tony liked to recognize and reward accomplishment, John and 9 others were designated founders in 1982, the 10th year of the Birkie, after they had skied the first 10years. In 1992, John Kotar, concluded that were other skiers who deserved recognition for their accomplishments, so he wrote a letter to the ABSF, stating that, the result of which is our Purple, Gold, and now Spirit of 35 Bibs. All of us who wear those bibs have him to thank for that. The Birchleggings Club is his Creation. 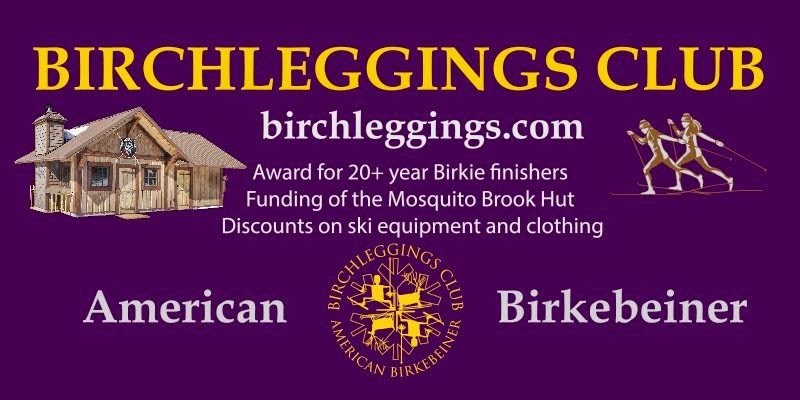 When the idea came forth to build warming huts attached to storage buildings at various food station sites on the Birkie Trail, John was there, as a member of The ABSF Board, to help build OUR Legacy, by saying that the Birchleggings Club would Pay off the construction price, if we could put our Logo on it. OUR Warming Hut at Mosquito Brook Road is a Tangible, Permanent statement of who WE are, and OUR Commitment to The Birkie Trail, the Sport, and the Race, and being a food station site, the volunteers Serving There Love It, as they have a place to warm up. When it came time for John to step aside, and let others take charge, in 2013, and 2014, he shepherded us through the Steering Committee Process, which led to forming a board of directors, with by-laws, incorporating, electing officers, and becoming a tax exempt organization. And now we're off to forming our Legacy, with our first ever expo booth, but we wouldn't be here without his vision, and creativity. One more thing: He came up with the concept of the Tony Wise Birkie Spirit Award, and He Exemplifies All of Tony 's Attributes and Accomplishments! On behalf of the Nominating Committee, and the Board of Directors of the Birchleggings Club, it is my Great Honor and Pleasure to announce the Recipient of the 2015 Tony Wise Birkie Spirit Award is our Founder: John Kotar. To see pictures from the 2015 Birchleggings Club Breakfast and Awards Ceremony please go to this link 2015 Birchleggings Club Breakfast and Awards Ceremony Pictures. 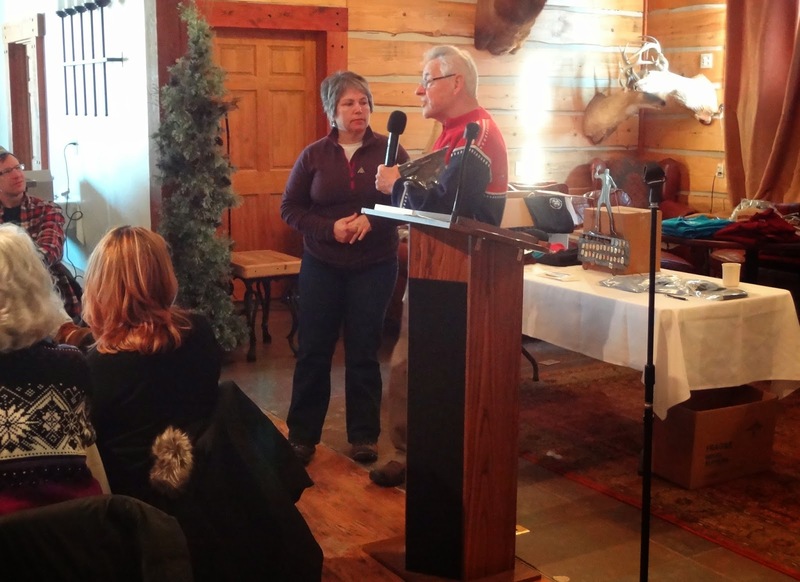 Membership Drive Award Winners Announced!